A lot of cool things happened in 2016! 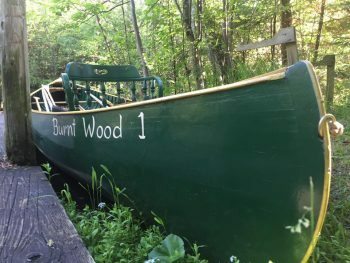 Burnt Wood 1 made its first “working” trip down the Brule! It was on the Opening Day of the Upper River Season and I couldn’t have been more proud to have John, who’s family has been on the river since the mid 1880’s as her first customer! This was the first trip for a “working’ Lucius in many decades! 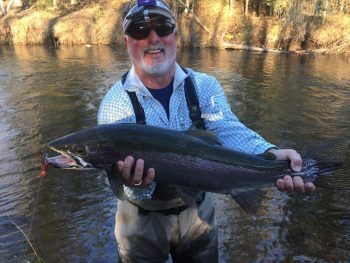 The Spring Steelhead fishing was excellent despite high water for a good portion of the Spring, many Great fish were caught, with many coming to the swung fly! The Rio Trout Max heads used in conjunction with a Sage One 890 have really become my go to set up for swinging flies on this lovely river! 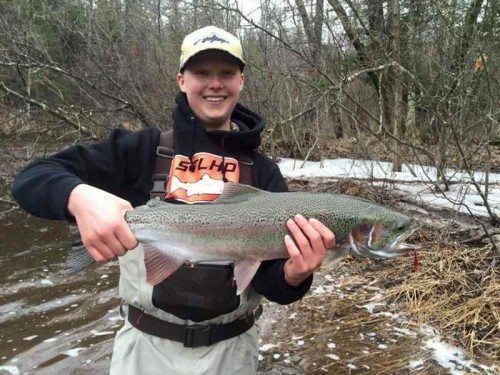 Fall Steelhead were a little tougher with really clear water being the norm. Even with tough conditions fishing was solid, with many nice fish being brought to hand. Those who “Kept the Faith” and fished hard were rewarded for their efforts! 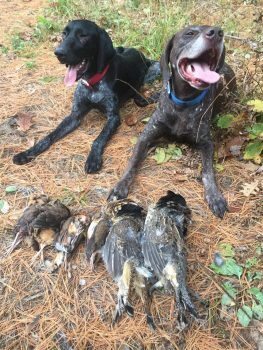 Grouse and Woodcock hunting was fantastic! Grouse numbers are up and we are supposed to be on the up swing of the cycle, Great news for the next few years. Casper had a stellar sophomore campaign and will do nothing but get better in the years to come. Woof is as reliable as always and in great shape. Looking forward to the next few years behind this cage old vet! I’d like to thank all of my friends and customers who made 2016 such a memorable and outstanding year! I am now booking for the 2017 season, with the way things are going, theres never been a better time to fish the storied Bois Brule River! Call 218 390 0629 to get your time on the Brule scheduled! 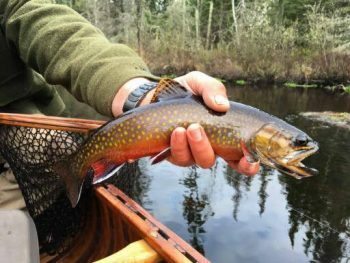 This entry was posted in Fishing Reports and tagged brook trout, brown trout, brule, brule river fishing report, Brule river steelhead, fly by night guide service, RIO, sageflyfish, simms, spring ponds, steelhead, wing&swing by Damian Wilmot. Bookmark the permalink.